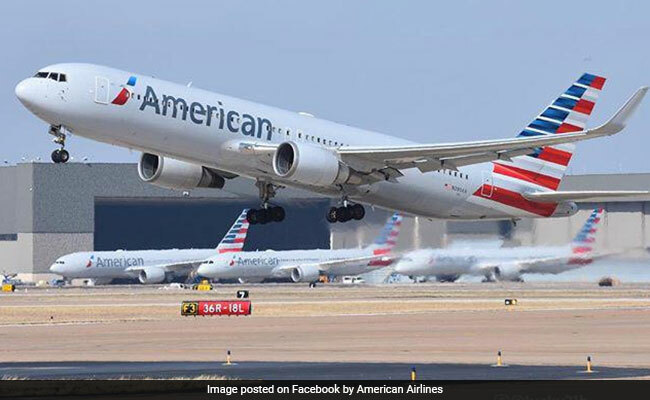 A passenger's bizarre antics forced American Airlines to divert a flight on Monday. A passenger's bizarre antics forced American Airlines to divert a flight on Monday. The flight from Phoenix to Boston was diverted for landing after the man, allegedly drunk, grabbed the overhead bins and kept doing pull-ups. CBS Boston reports that the man's unruly behaviour forced the flight to land in Kansas City, where the man was removed. According to Fox News, the unidentified man appeared drunk when he boarded the plane. Once the flight took off, he ordered more alcohol and suddenly started a workout. "He was leaning up against where you put the bags overhead and a passenger came by and said 'What are you going to do, some pull-ups?' and the guy actually grabbed on to it and started doing some pull-ups on the plane in front of everybody," passenger David Markoski told reporters, according to CBS Boston. "He would not sit down. The flight attendant probably asked him about three or four times to sit down and he refused to sit down and then he really got verbally abusive with her, starting calling her names," Mr Markoski said. Though the passenger was thrown out of the flight, no charges were filed against him. The flight moved on to its destination. This is not the first time that passengers have caused chaos in flight. A few weeks ago, there was panic on a flight when a passenger tried to open the plane's door mid-air.